Well, Happy Thanksgiving! I don't know why, but I'm super excited about this holiday season. I've decided to simplify things this year, with more decorating and family time and less hustle and bustle and stressing over what needs to be done (although I do want to try and get a good Black Friday deal on a smallish TV). Sounds like a good plan, we'll see how it pans out! 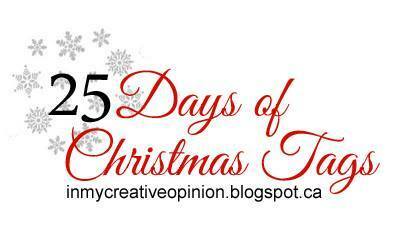 Anyway, today I'm taking part in Tracey McNeely's 25 Days of Christmas Tags. 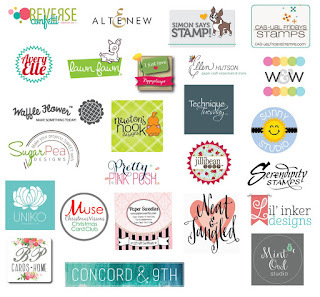 REVERSE CONFETTI is sponsoring today's post on her blog HERE. There are several Confetti Crew members playing along, so be sure to hop along. You can find links to our team on the REVERSE CONFETTI blog HERE. In keeping with a simplified theme this year, I kept my tag sweet and simple using only a couple of die cuts and one stamp set. I started with the circle from the LACY SCALLOP CIRCLES Confetti Cuts. I stamped the cute phrase from the TINSEL 'N TRIM stamp set. Next I added a strip of the red and white paper and popped on a couple of flakes from the SNOWFLAKE TRIO Confetti Cuts set. I added the red twine as a tie and a sequin to the middle of the layered snowflakes. Easy peasy! I plan to write the "to" name on the red and white strip. This would be so simple to duplicate and I KNOW The Container Store has wrapping paper to match! Speaking of Black Friday sales, today REVERSE CONFETTI is announcing their very own Black Friday sale. Use this code to get 20% off!! I love your pretty round tag! Adorable! yay for using the Lacey Scallop Circle for your tag! Perfect! The lacy scallop die makes a beautiful tag. So so pretty!! LOVE those circle dies! !